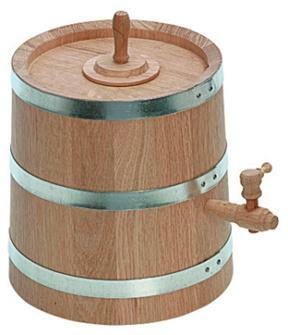 Oak wood vinegar makers for standing on the ground or hanging on a wall with a wooden tap. Wooden vinegar makers from 3 litres to 10 litres. 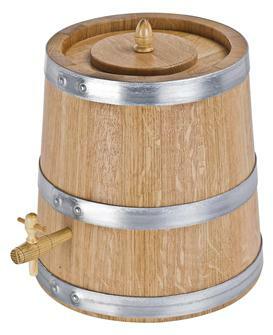 3 litre wall vinegar maker in varnished oak with tap. 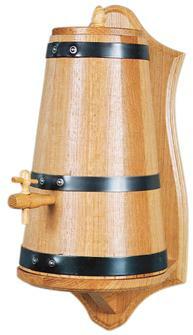 4 litre wall vinegar maker in varnished oak with tap.